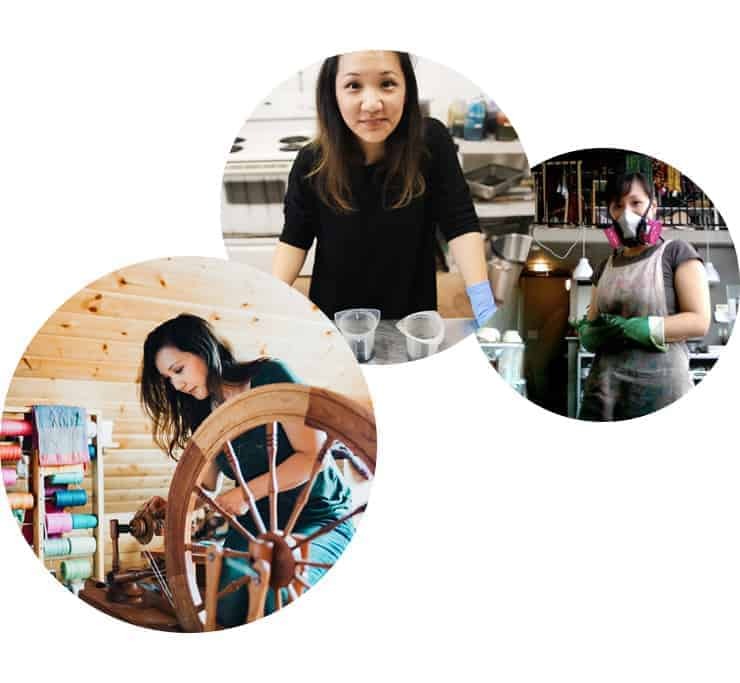 Discover our in-depth hand-dyeing courses "Dyeing Intentional Colour" and "Dyeing Complex Colour". 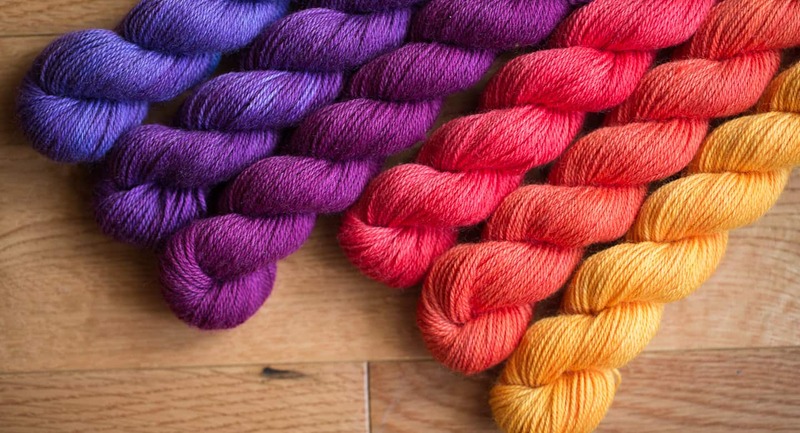 Learn all the fundamentals of solid-shade immersion dyeing and understand the math and calculations behind the dye formulas to get exactly the colour you're looking for. Then take it one step further by discovering new ways to add complexity and richness to your hand-dyed colourways. 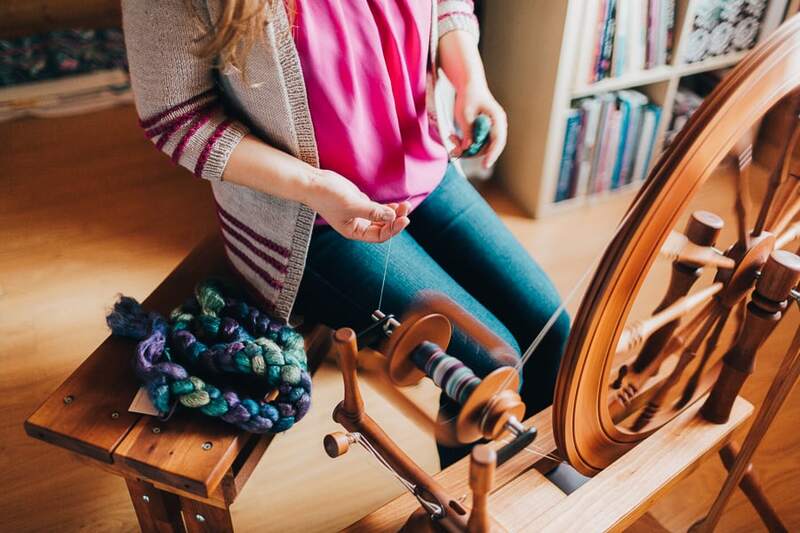 Exploring a variety of dye application techniques and create your own glazed and layered hand-dyed yarns full of depth and interest. 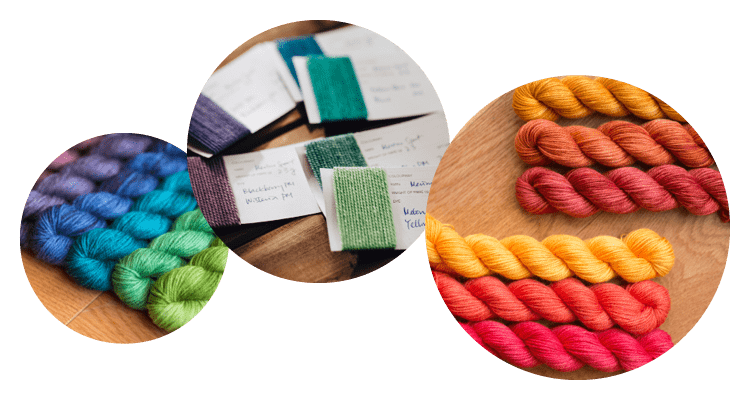 Create your own unapologetic and unique hand-dyed yarns and colourways using acid dyes and protein-based fibres with confidence and intention. In this primer course, we will explore dyeing your own yarns and fibres using immersion dyeing techniques. We focus on understanding and learning to control the dye process to produce colours intentionally. 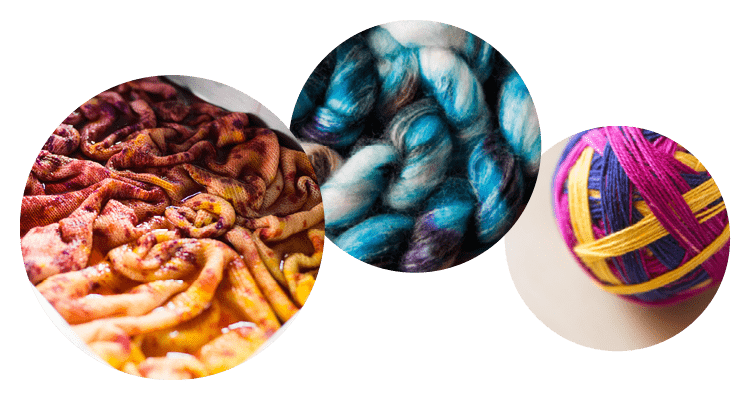 My goal is for you to discover your own creative process, balancing the science and art of dyeing and understanding the variables that affect dyed results so that you can play freely with colour. 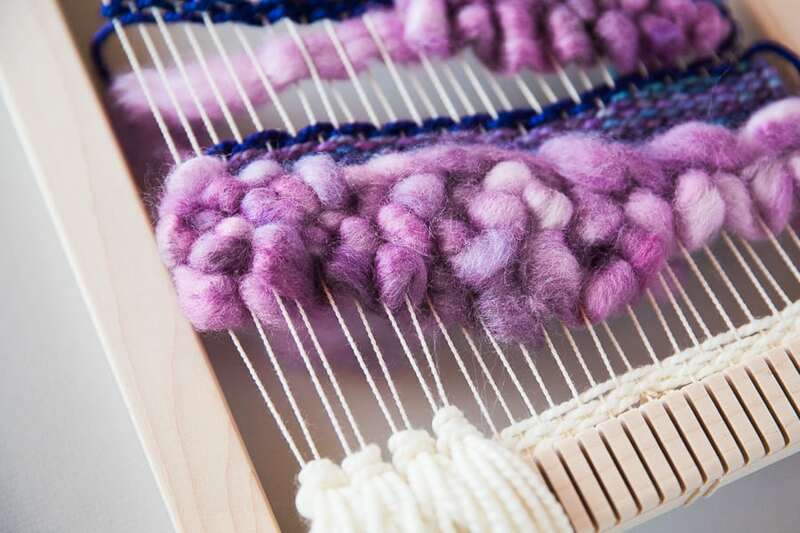 Building upon the skills and knowledge in our Dyeing Intentional Colour course, this course will explore developing a deeper understanding of colours and colour theory, focusing specifically on what happens when colours are mixed so you can learn to create or avoid muddy hues. In this course, we create glazed, layered, and tonal hand-dyed colour effects through immersion dyeing, low-water immersion dyeing, handpainting, and more. 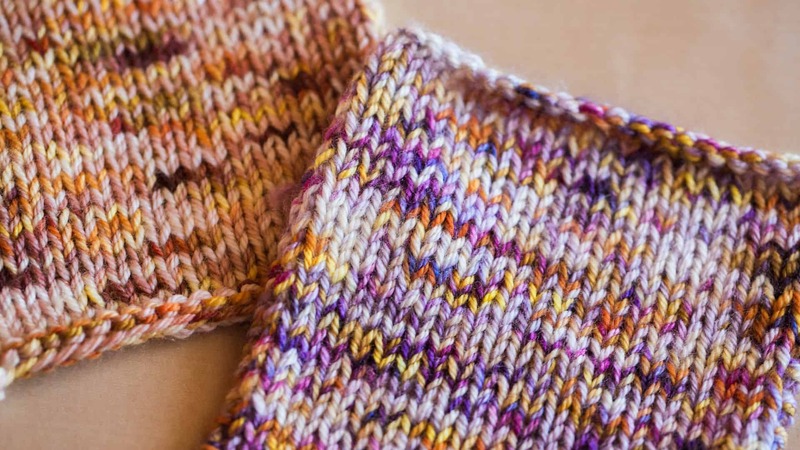 Discover how to create handpainted yarns and spinning fibres for repeating and self-striping colour sequences. 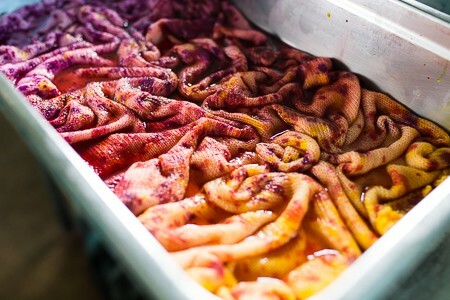 Our courses are designed to be an intense and in-depth exploration of hand-dyeing techniques for dyers who are passionate about precision dyeing and hungry for the next step. If I taught these courses as a live event or a retreat, it would likely be a 5-day long workshop! 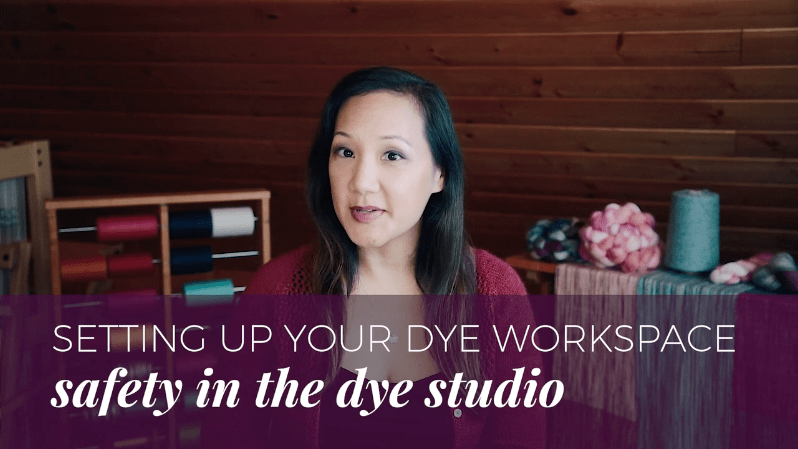 By teaching through these videos, I’m excited about the opportunity to reach you where you are right now with your dyeing. 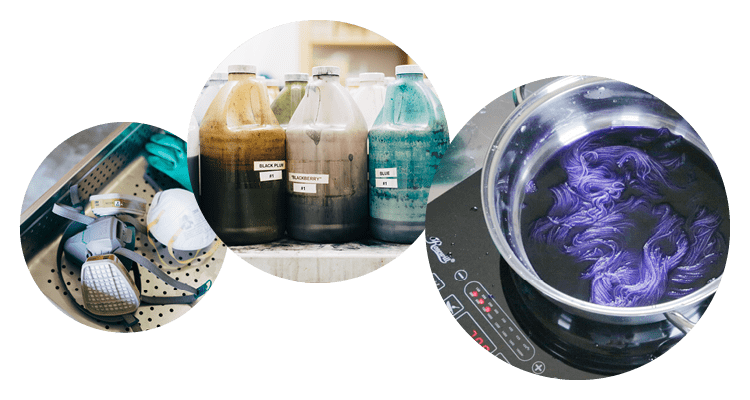 Dyeing can be as simple as using a single pot and a heating element, but we’ve created a comprehensive list of tools and supplies that we use in this course and that might be helpful to build or augment your dye studio set up. When I started learning how to dye yarn, my appetite for new ideas and techniques was insatiable but there were not a lot of resources for me to go to. After the past 14 years of exploring dye techniques, I’m happy to share the things I’ve learned with new and experienced dyers so that more creative spirits get inspired to enjoy the transformational power of beautiful hand-dyed colour. Watch a sample lesson — "Safety in the Dye Studio"
What kind of supplies or equipment will I need to take the dyeing classes? 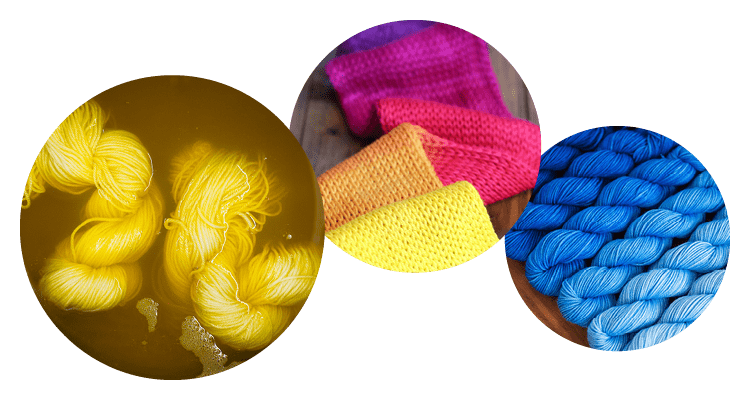 You’ll need some acid dyes (available from ProChemical & Dye or Dharma Trading Co.), undyed protein-based (like wool or silk) knitting yarns or spinning fibres, and some heating equipment (pots, pans, portable burner or something similar). We have the complete list of tools and supplies available for download to students. I don’t care to be so precise with my dyeing. Is this for me? Absolutely. Sometimes, I like to be more carefree with my dyeing sessions as well! The information that I share in this course is about giving you a foundation to understand how colour is created with acid dyes and how you can manipulate the variables to produce the effect you want. 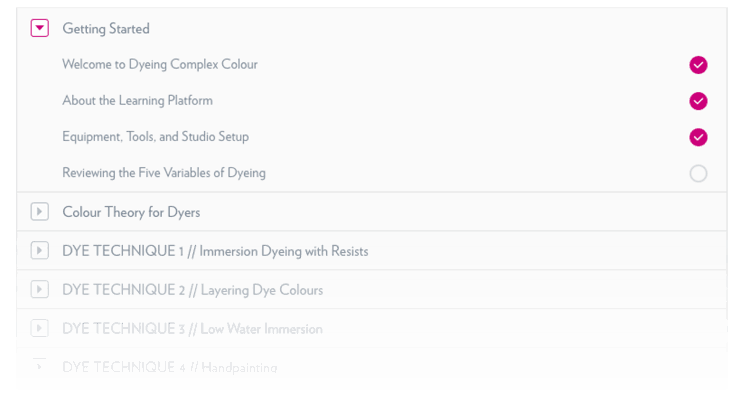 Once you know these fundamentals, you can be more intuitive and play with colour more freely without needing to calculate all your dye quantities. It’s all about strengthening your knowledge base so you can be a more confident dyer and colourist!